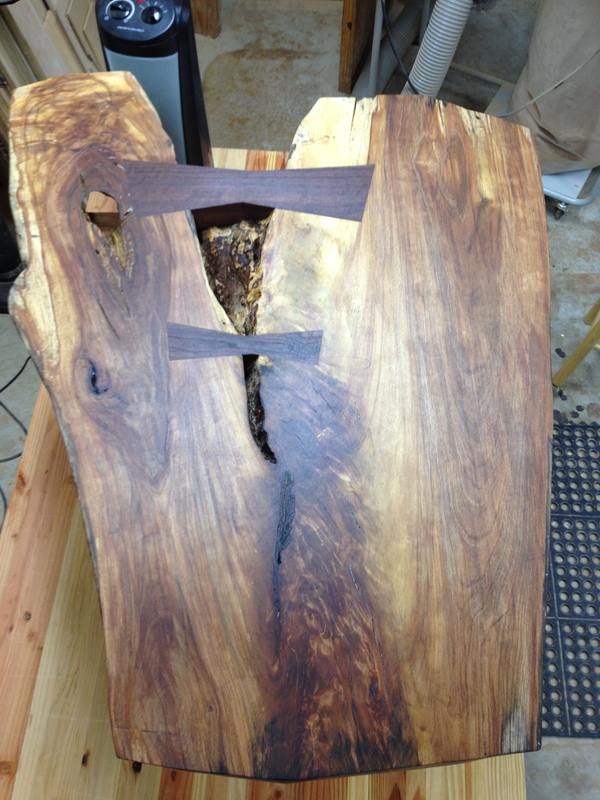 This coffee table represents a mixture of popular furniture styles including live edge slabs and danish modern elements. 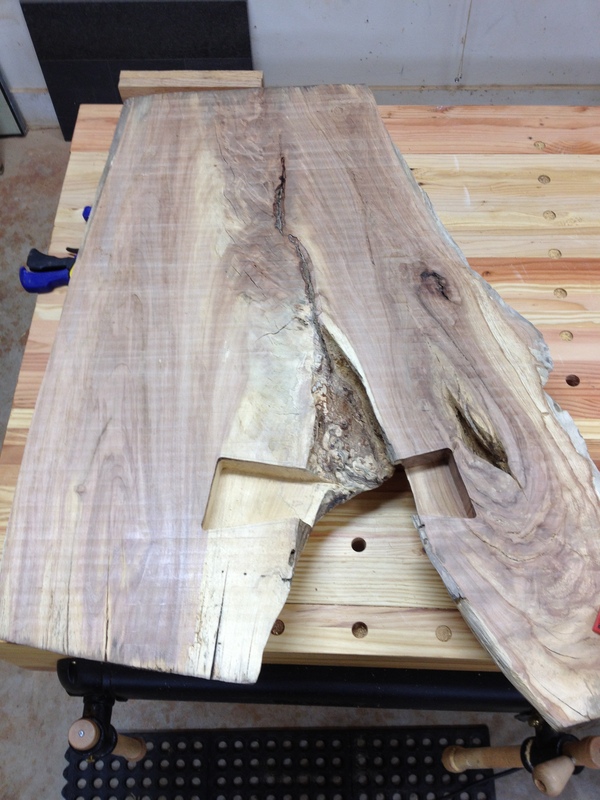 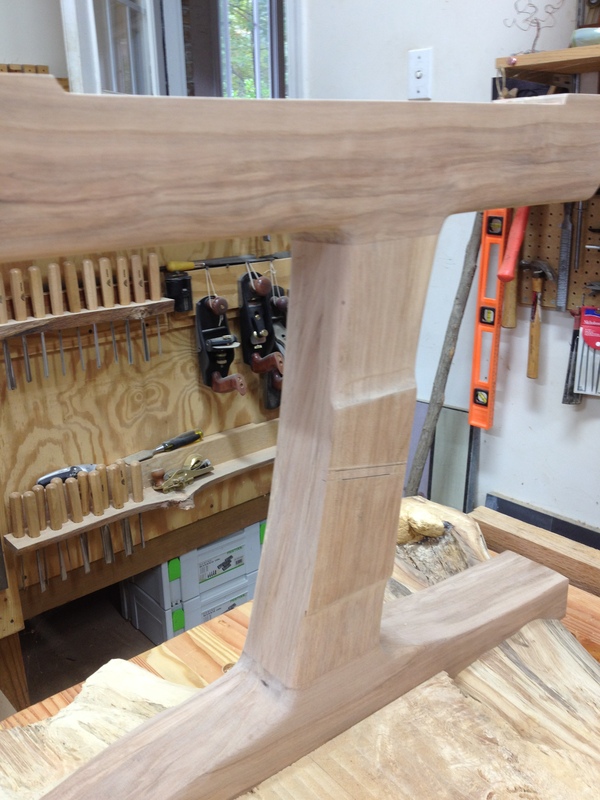 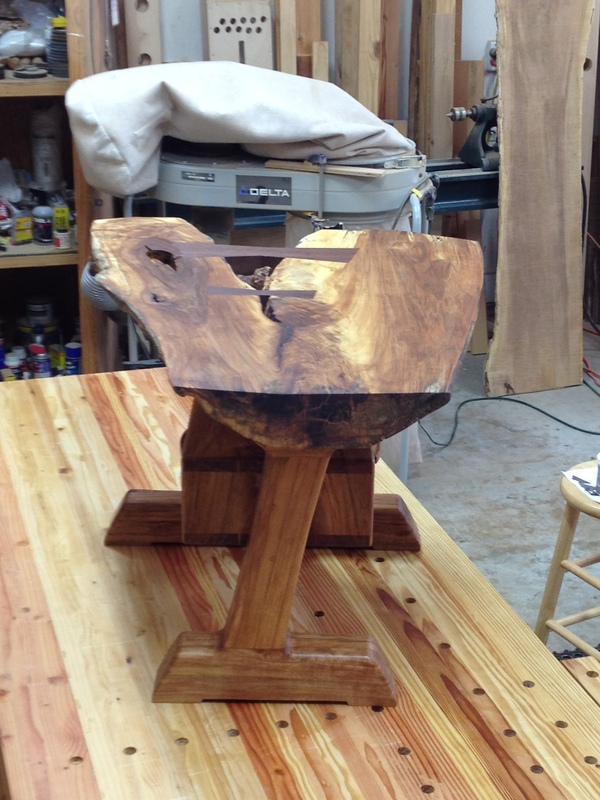 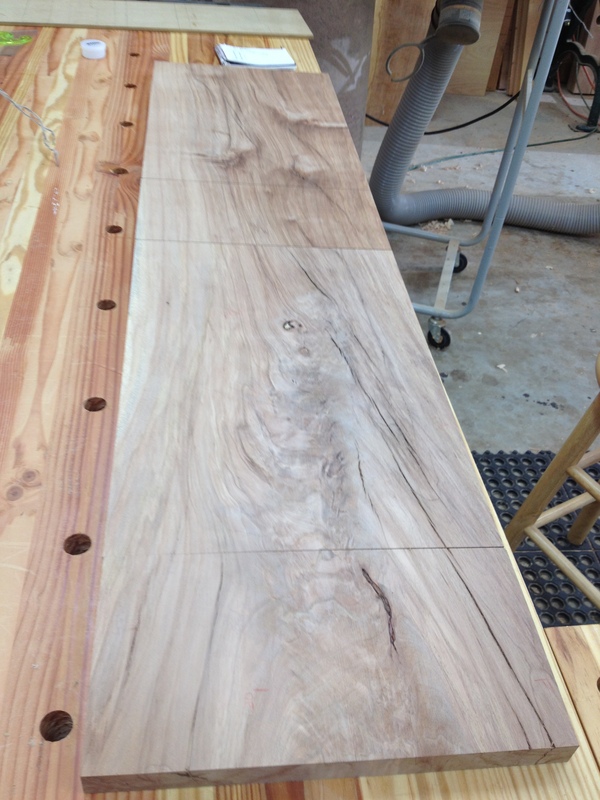 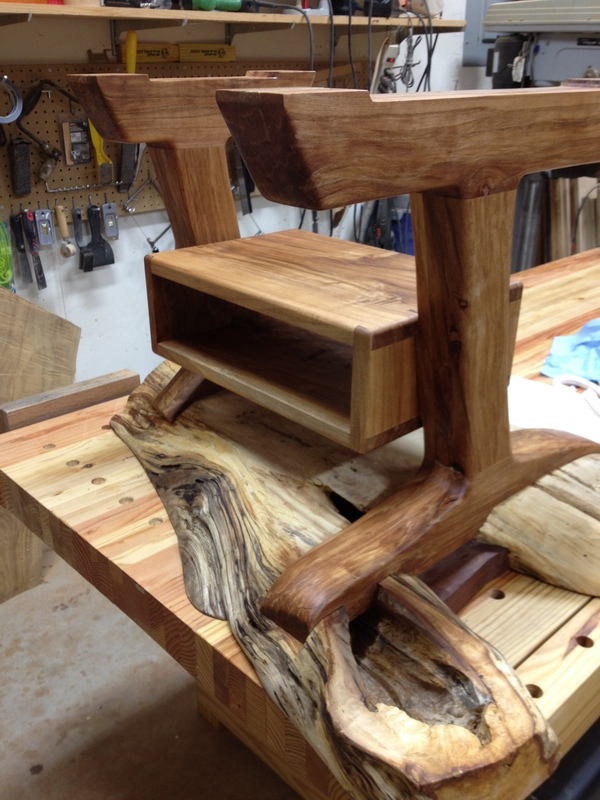 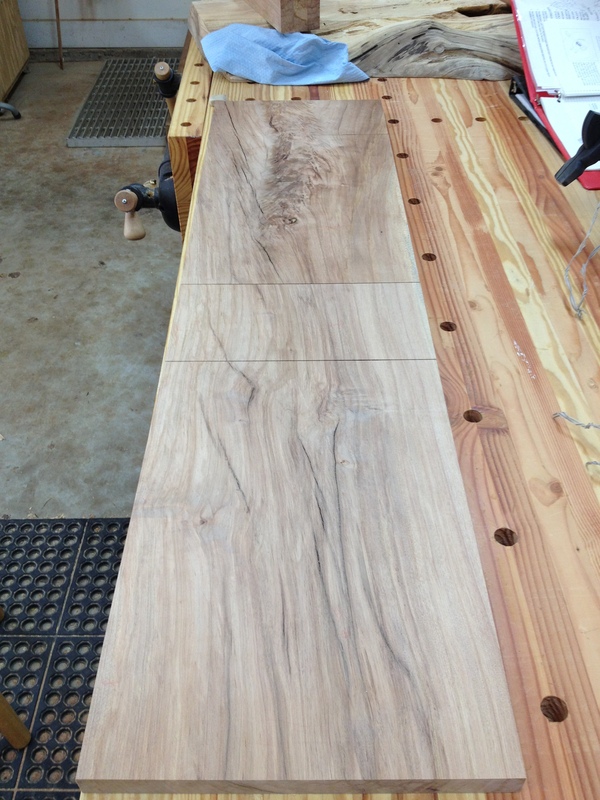 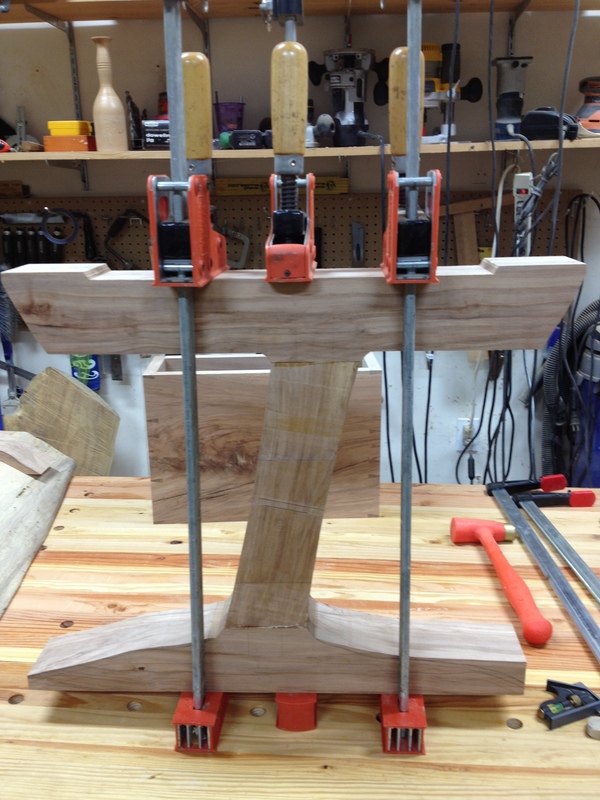 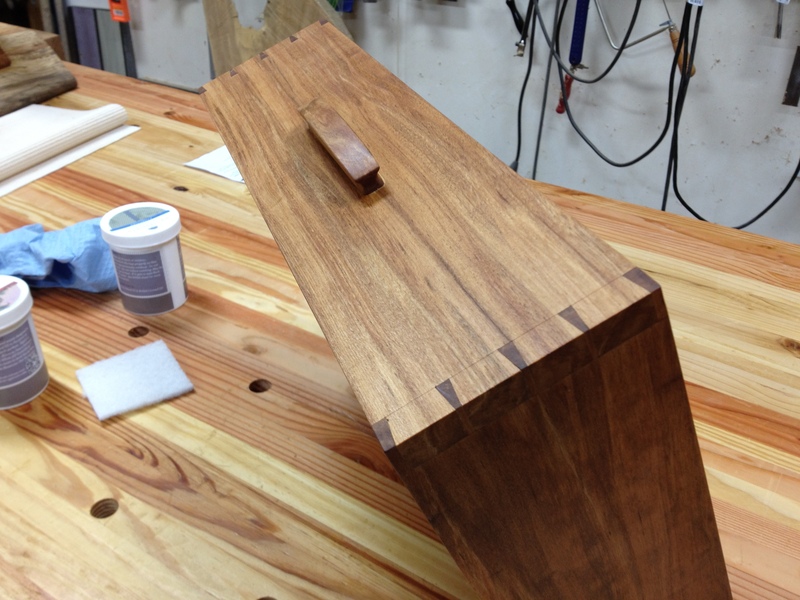 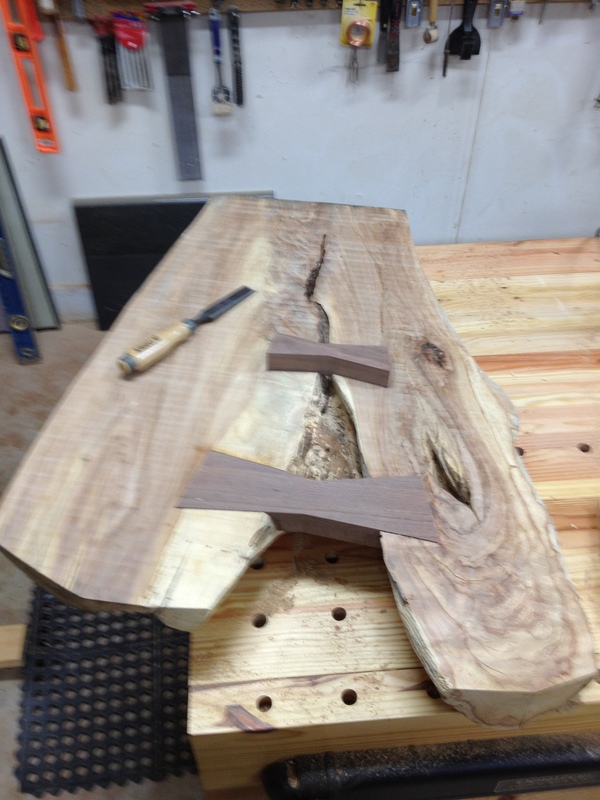 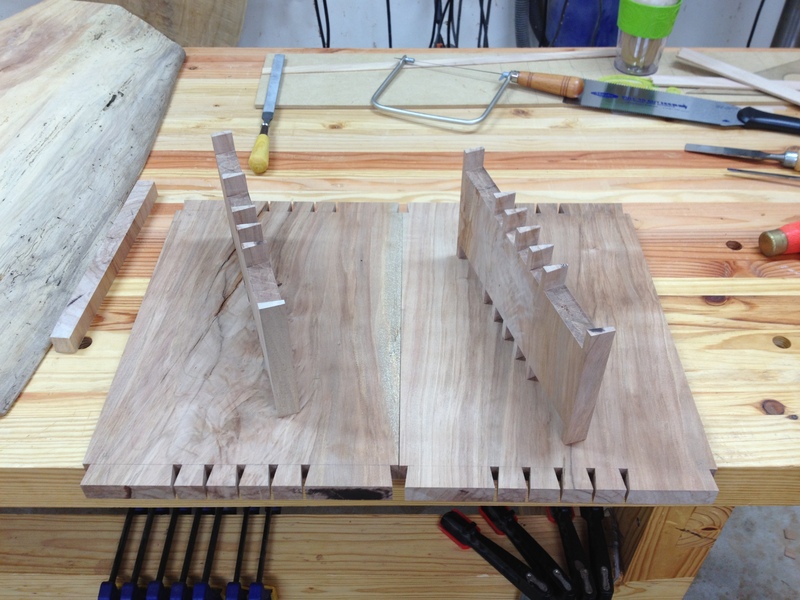 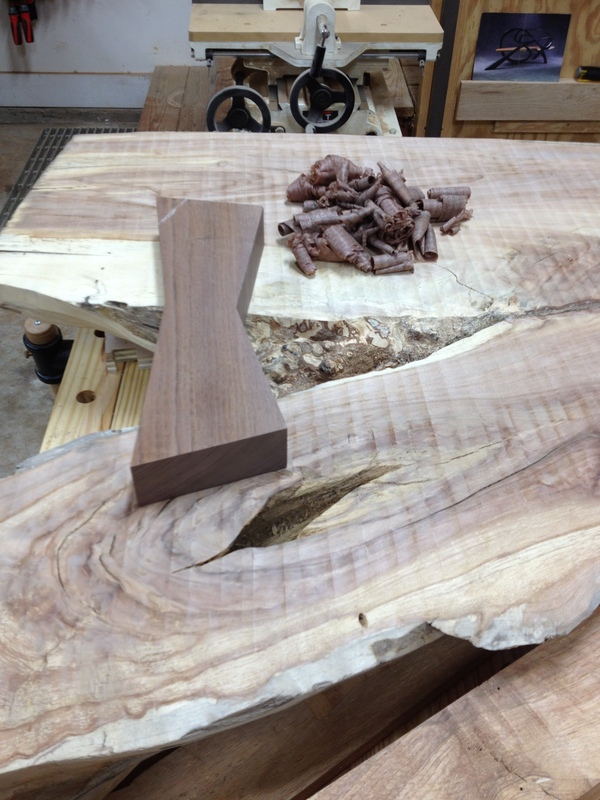 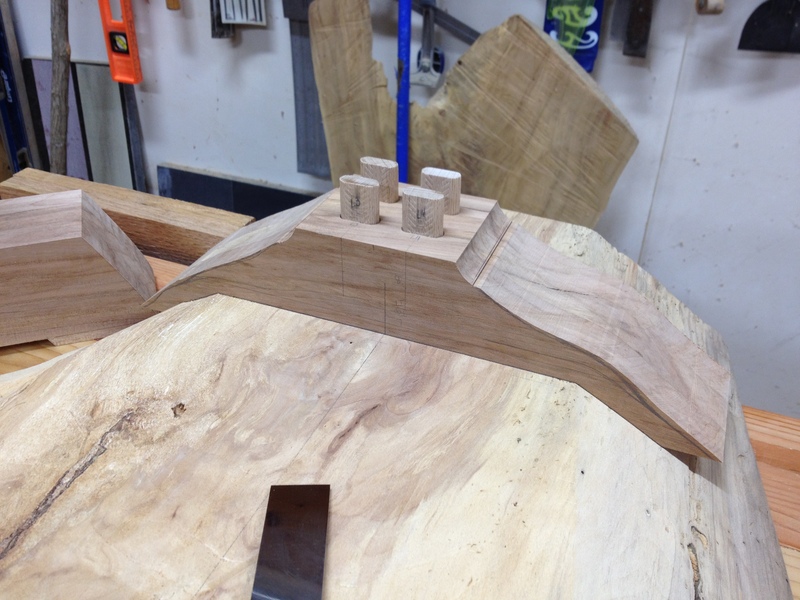 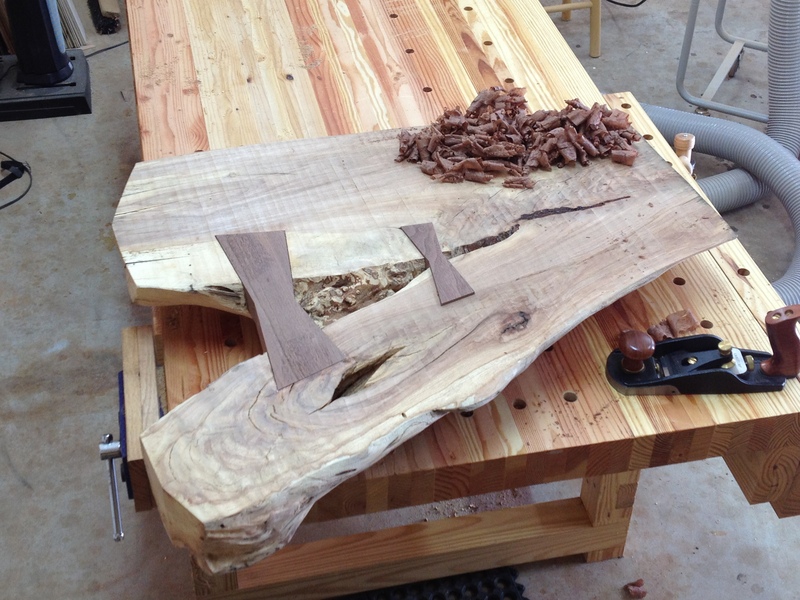 The top is a crotch cut of cherry with two very large walnut butterfly keys. 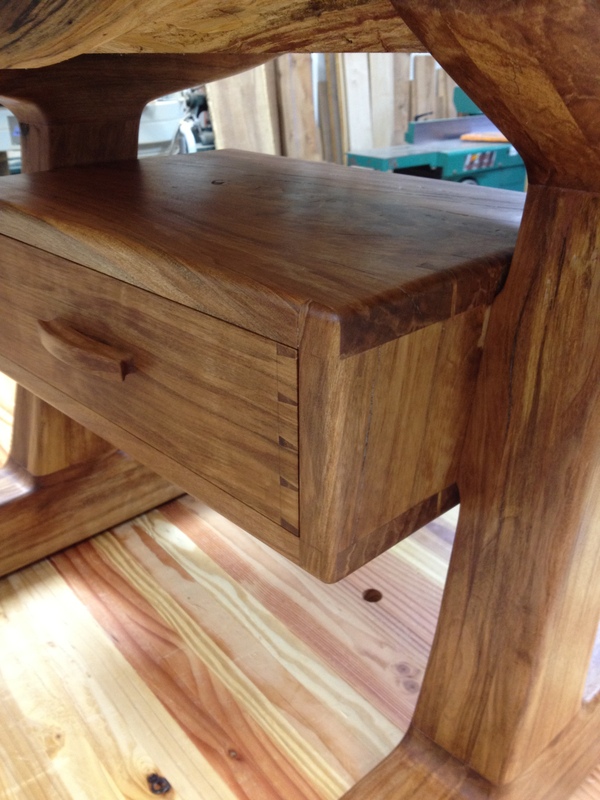 The base is an interpretation of the danish modern style with cantilevered legs and a floating drawer box. 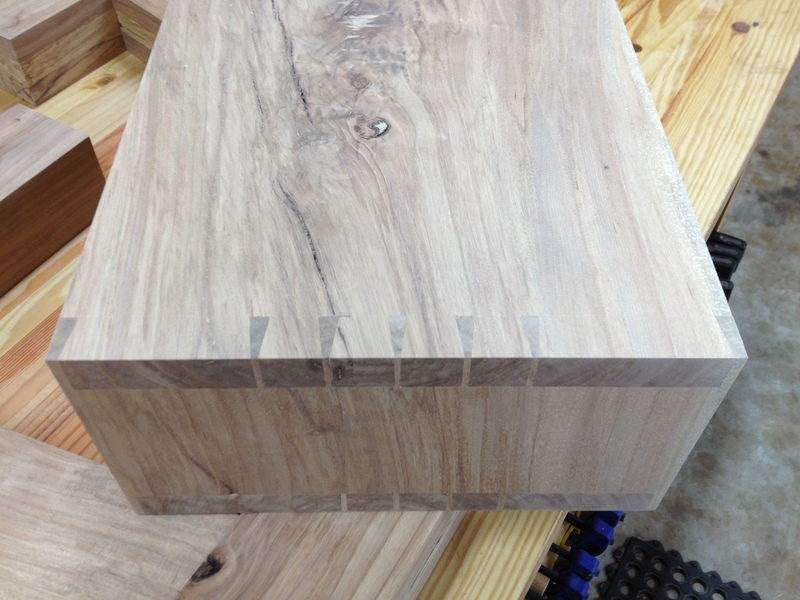 The drawer box is made from one piece of cherry and the wood grain continues all the way around the box. 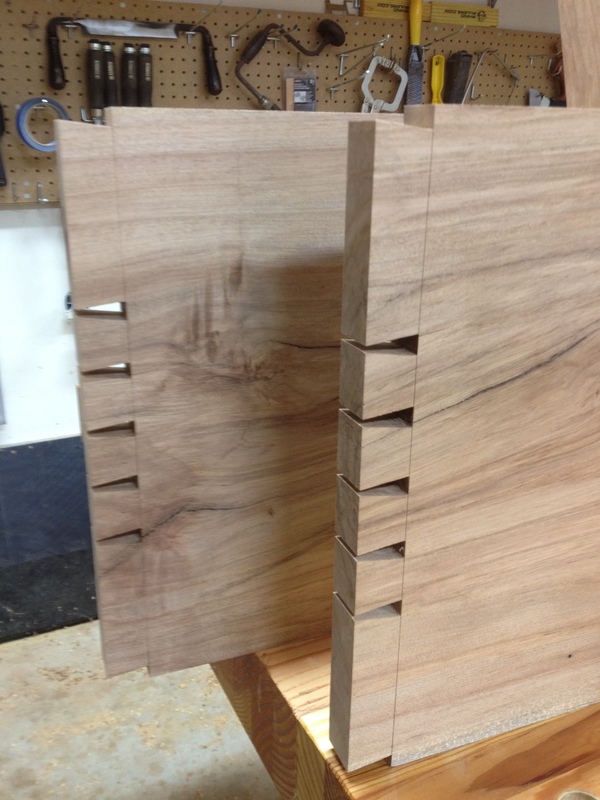 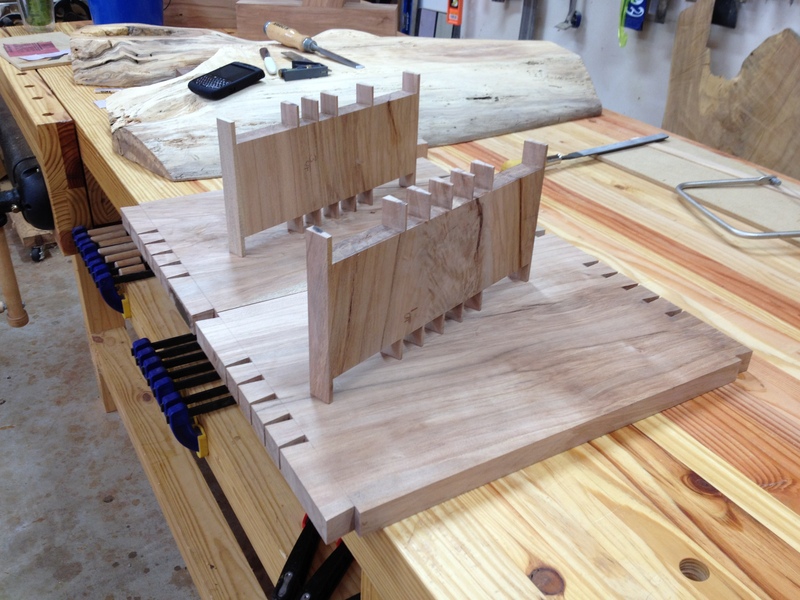 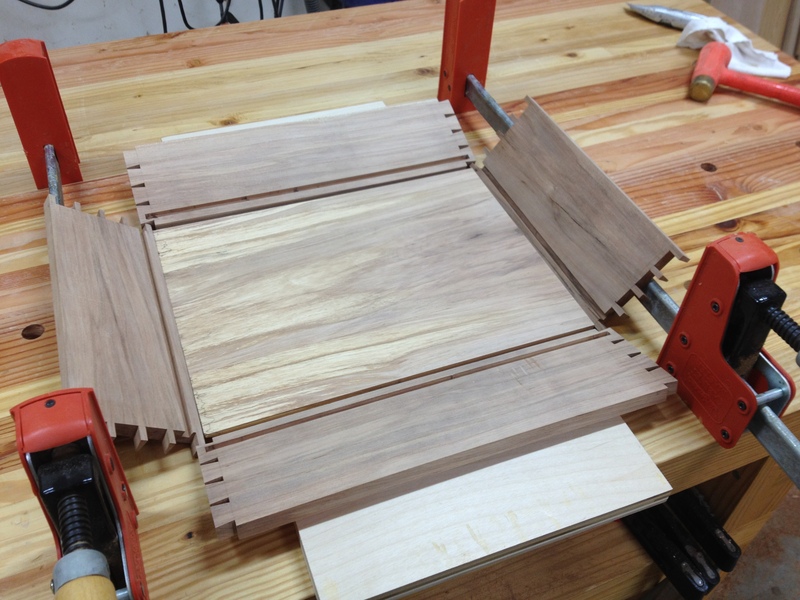 The drawer and drawer box are built using hand cut dovetails.